Writing mascara reviews is hard, in my opinion. Everybody's lashes do different things, and wants/needs from a mascara vary wildly from person to person. 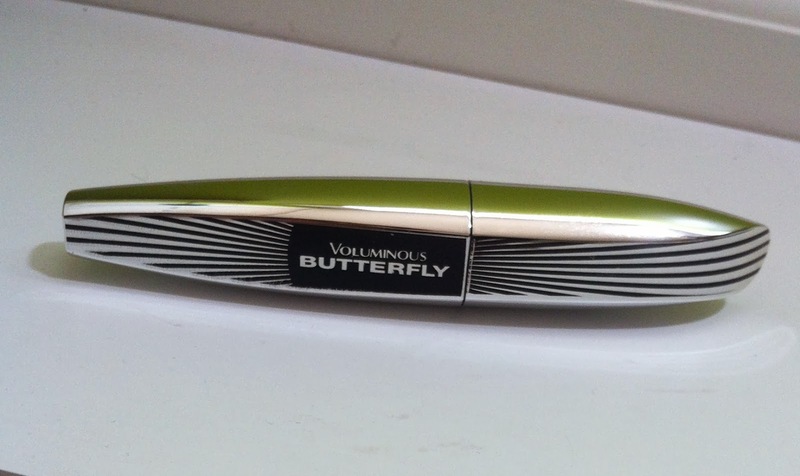 However, I thought I would attempt to write a review for the L'Oreal Voluminous Butterfly mascara because I have been using and enjoying it so much as of late. The brush is what really intrigued me and prompted me to buy this mascara. It is supposed to lift the outer lashes and give them extra length. 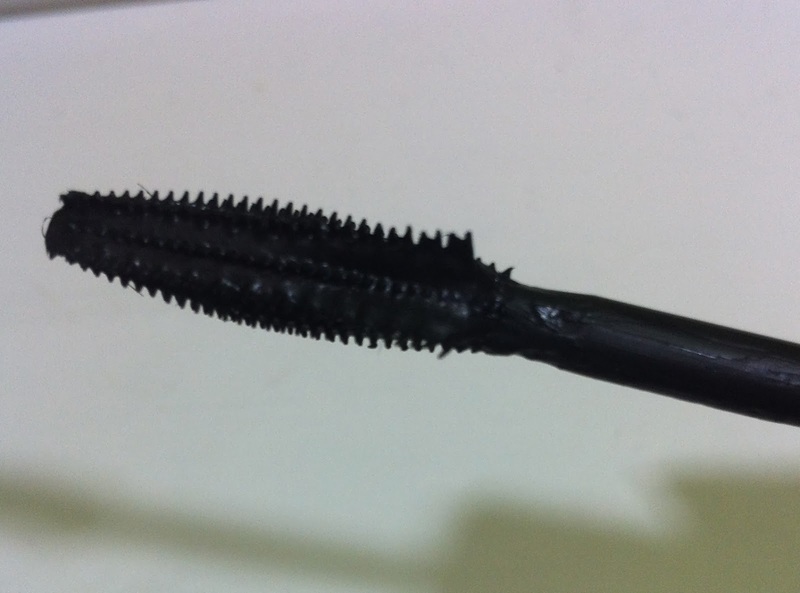 This is the side of the mascara wand with the flared bit sticking straight at the camera. I do think it's a little weird to have a mascara whose selling point is an asymmetrical brush that is easy to hold in the dominant hand, but then not so much on the other side. 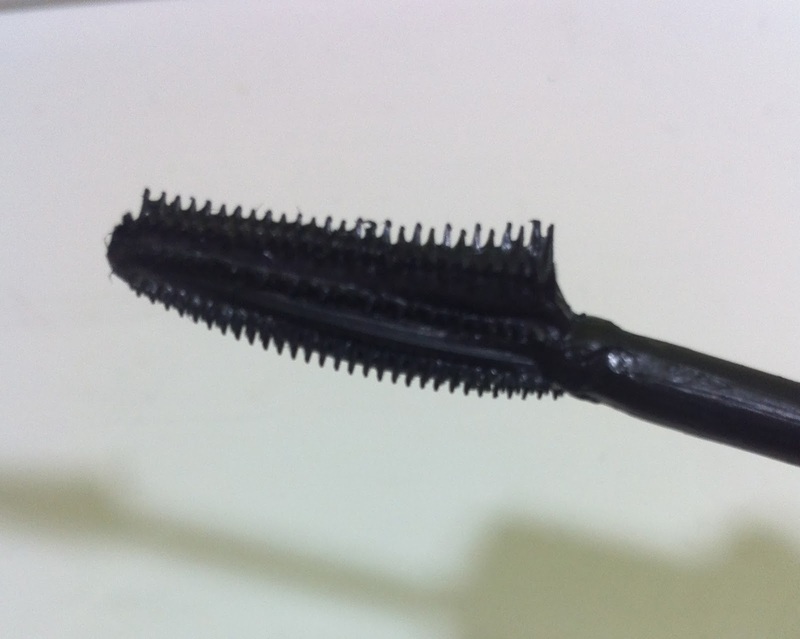 Are we supposed to crane our arm around to hold it so the wider flared out part of the brush reaches the outer lashes on the non-dominant side of our body? Perhaps those of you who are ambidextrous don't have this problem. Luckily, it seems that the non-flared part of the brush works just as well to deposit mascara on the lashes, so arm-craning is not totally necessary. Voluminous Butterfly provides my lashes with lots of length and definition. It doesn't clump or smudge, and removes easily and thoroughly with makeup remover or gentle cleansing. However... it seems to flake a little bit on me. It's not a lot, and I think the amount of flaking is relative to how much I touch my eyes throughout the day (I wear contacts). 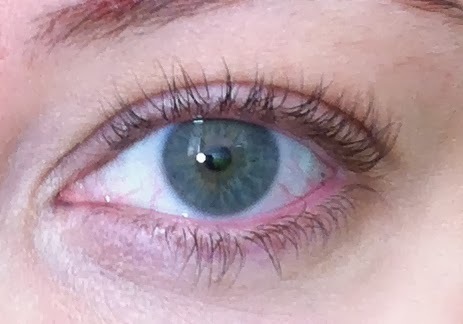 It might be worth noting that it removes in little clumps that look like the little flakies I get under my eyes. I'm not sure if that matters to anyone, but it does seem different that most other mascaras. I cannot speak to how well it holds curl because my lashes are naturally curly. 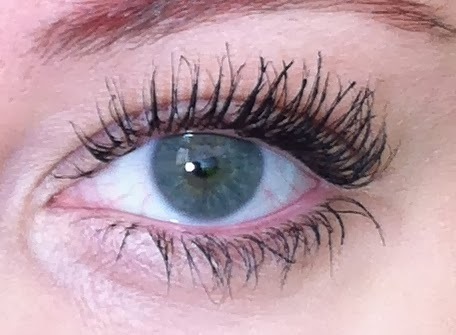 I like the L'Oreal Voluminous Butterfly mascara very much. I'm impressed by the amount of length it provides without looking too over the top. Will this mascara work for you? I wish I could say. I give it a thumbs up. I do think it's worth a try if you are curious about it! I am SO excited to get this mascara in my Target Beauty Box! It looks like it's working great for you!! I can't wait to hear what you think of it! Wow, what a huge difference this makes! Though your lashes are super long naturally as well :) Such an interesting wand! The wand is pretty cool, isn't it? I was going to say this is in the Target beauty box, but Brittnee beat me to it! So I'll be trying it once that shows up. I'm definitely curious though. Not sure about that wand but we'll see. And I agree with you, mascara is very difficult to review... not only is it kind of a personal thing, but a lot of the basic aspects of most mascaras are similar. I think you did a good job of communicating what's unique about this one though! Thanks! I hope to hear what you think of it! Oooh. I'm also on the Target Beauty Box trains. Do you think this mascara smudges more easily than the They're Real? Because that's one of the main selling points for me. I think They're Real is more budgeproof. That one doesn't move at all. And everyone is making my sorry I missed out on the Target box!